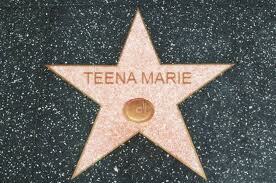 Few singers that I know of had the soulfulness of Teena Marie. I remember when she first came out. The industry was filled with some really good singers who could riff. That was the day. I am longing for those days again. So you know she had to be able to blow and boy could she. Of course anybody that Rick James produced was a hit. He was just a master at what he did and that was create soulful funky crazy music!! Rick I love you!! But here is this little white girl named Teena Marie who ended up not only able to hang with the big dogs, but raised the bar. She was a Black singer in a white girls body. She embraced our culture, lived it, wrote about it and sang about it. Now she has passed on. 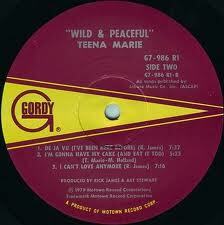 I want to give tribute to you Teena, thank you for all of the wonderful music you created. It will live on forever. Let that high mark of excellence you created stand forever so that anyone who needs to listen to what its like to sing soulfully and with love, take a listen to you. You were definitely a ‘Soul Sista’. Rest in Peace Girl!! 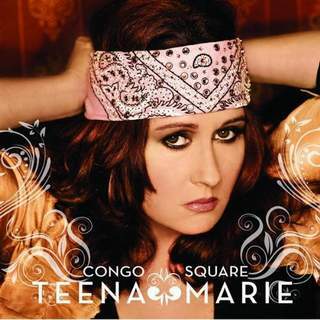 Teena Marie’s last album, “Congo Square,” was titled after a historical meeting place for slaves in New Orleans, featured a tribute to Martin Luther King’s widow and also song “Black Cool,” written for President Barack Obama. No matter that Marie, 54, was white. The R&B legend revered and fully immersed herself in black culture — and in turn was respected and adored by black audiences, not only for her immense soulful talents, but for her inner soul as well. “Overall my race hasn’t been a problem. I’m a Black artist with White skin. At the end of the day you have to sing what’s in your own soul,” she told Essence.com in an interview last year while promoting “Congo Square.” That album would turn out to be her last. The self-proclaimed “Ivory Queen of Soul,” whose many classic hits included “Lovergirl,” Square Biz” and the scorching duet “Fire and Desire” with mentor Rick James, was found dead in her Pasadena home on Sunday at the age of 54. Authorities said her death appeared to be of natural causes. “The enduring influence of Teena’s inspirational, trailblazing career, could only have been made possible through her brilliant song-writing, showmanship and high energy passion which laid the ground work for the future generations of R&B, hip-hop, and soul,” said Concord Music Group chief label officer, Gene Rumsey; Concord’s Stax Records released her last album. Marie certainly wasn’t the first white act to sing soul music, but she was arguably among the most gifted and respected, and was thoroughly embraced by black audiences, and beyond. The cover of her debut album, “Wild and Peaceful,” did not feature her image, with Motown apparently fearing black audiences might not buy it if they found out the songstress with the dynamic, gospel-inflected voice was white. “(Motown founder Berry) Gordy) said that is was so soulful that he wanted to give the music an opportunity to stand on its own merit. Instead of my face, they put a seascape, so by the time my second album came out people were like, Lady T is White?” she told Essence.com. Marie’s voice was the main draw of her music: Pitch-perfect, piercing in its clarity and wrought with emotion, whether it was drawing from the highs of romance or the mournful moments of a love lost. But her songs, most of which she had a hand in writing, were the other major component of her success. Tunes like “Cassanova Brown” “Portuguese Love” and “Deja Vu (I’ve Been Here Before)” featured more than typical platitudes on love and life, but complex thoughts with rich lyricism. “Deja vu” was a song about reincarnation. And “Fire and Desire,” a duet with James about a former couple musing about their past love, was considered a musical masterpiece and a staple of the romance block on radio stations across the country. She went to Epic in the 1980s and had hits like “Lovergirl” and “Ooo La La La” but her lasting musical legacy would be her Motown years. This entry was posted in music, Teena Marie Ivory Queen Of Soul and tagged culture, entertainment, music, Teena Marie, The Ivory Queen Of Soul Teena Marie. Bookmark the permalink.